If I were to have a favorite part, it would be the ease of scanning my own fabrics into my designs and seeing them before I start making my blocks. 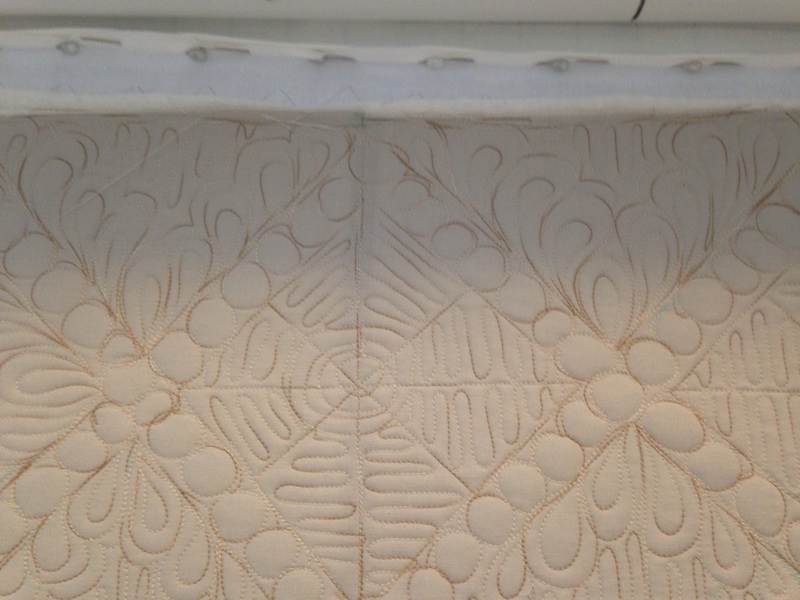 The blocks I’m using are 12″ square, this will make for quicker piecing so I can get it onto my longarm quicker, finish it and get it done! I will post a tutorial on how I like to do paperpeicing , so stay tuned! 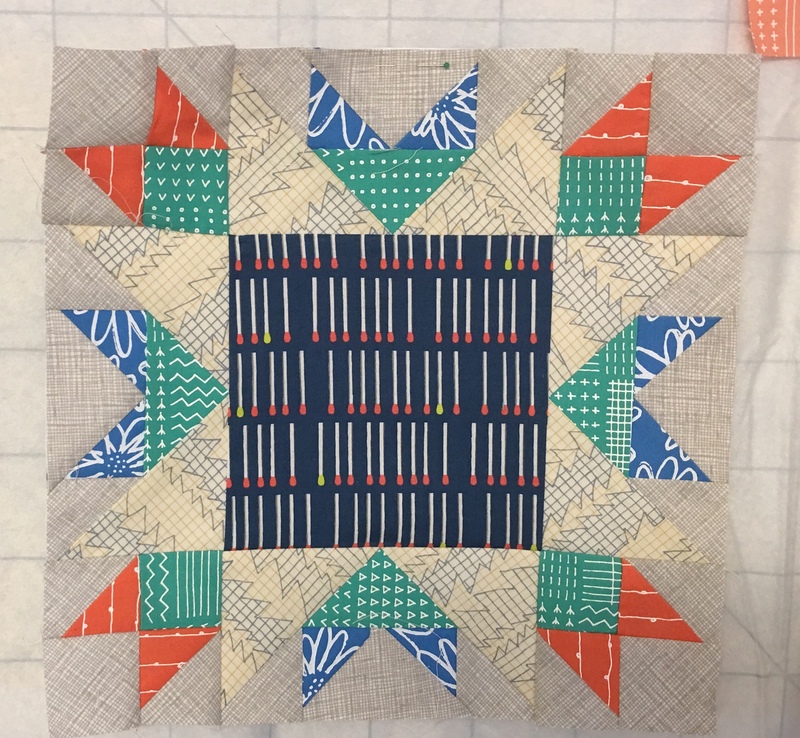 Here’s what I have been up to on my Star Quilt!The quilting is going well, there are some areas that I haven’t quite figured out yet, but I’m off to the start and that feels good! The area under the text section is next, and I am not sure what I’m going to do there, it’s so busy that fine details will not show up as much, but I’m thinking some sort of spin on feathers could work. I’ll post photos when I get thru a run. Also, if you go on Instagram I sometimes post my in progress photos. 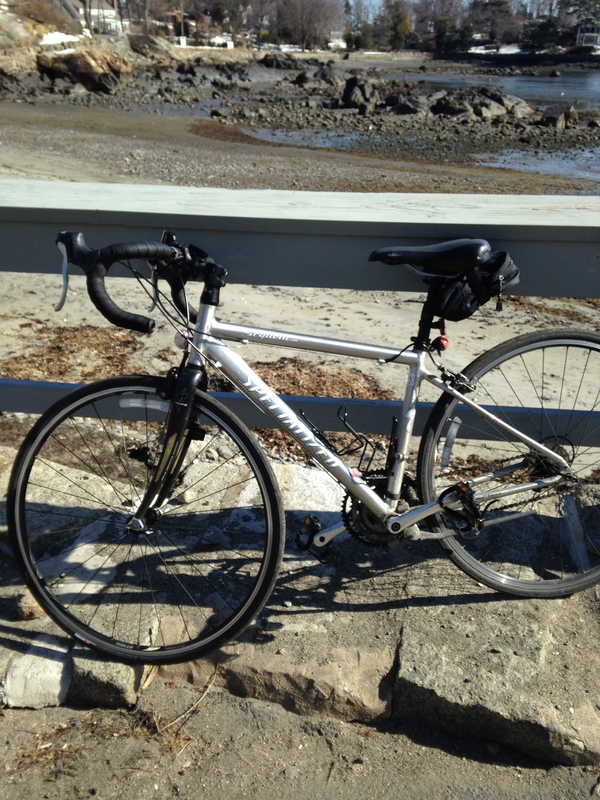 S Since the weather is getting nicer here in Marblehead I began my day with a chilly but sunny bike ride along the seashore. This always gives me a chance to meditate and ideas can flow, so hopefully I will be able to do this lovely ritual daily as weather permits. 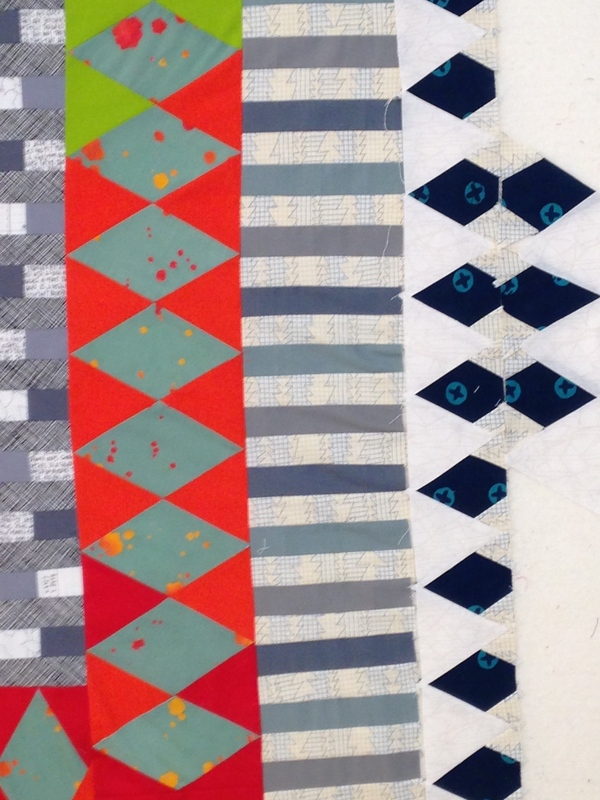 I’m looking forward to completing a few quilts that are pieced yet not quilted but since I go between piecing new tops and quilting the finished I’m a bit slow pokey! Well, I hope you all out there are getting what ever projects your working on done too! Happy Spring to everyone in this part of the country and to all hope your enjoying your day! 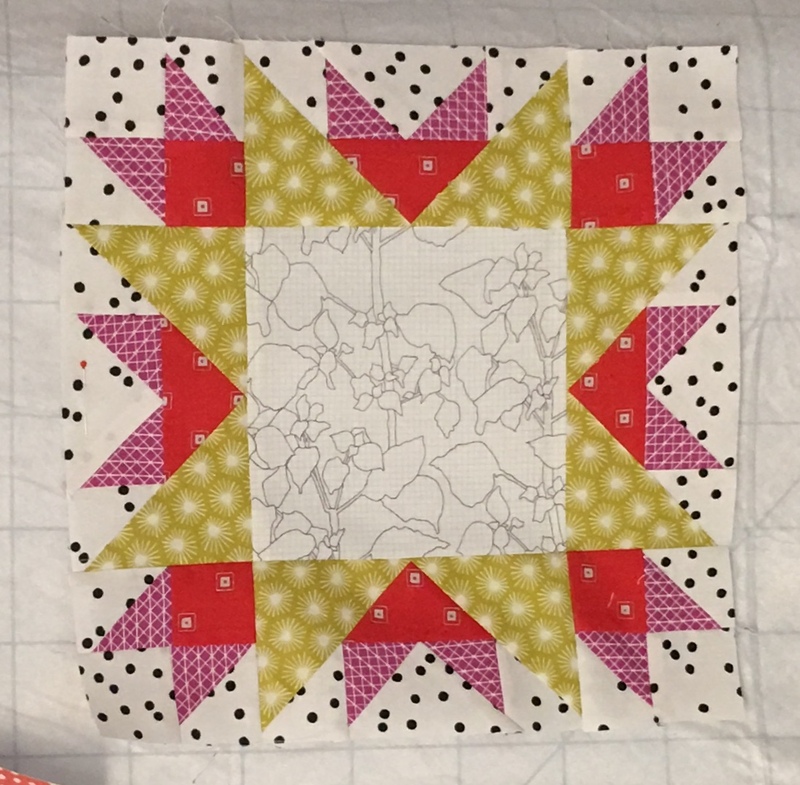 I’ve gotten back to work on quilting my Star Quilt, I don’t know if you’ve been following my blog posts, but I had been working on this quilt several months ago. 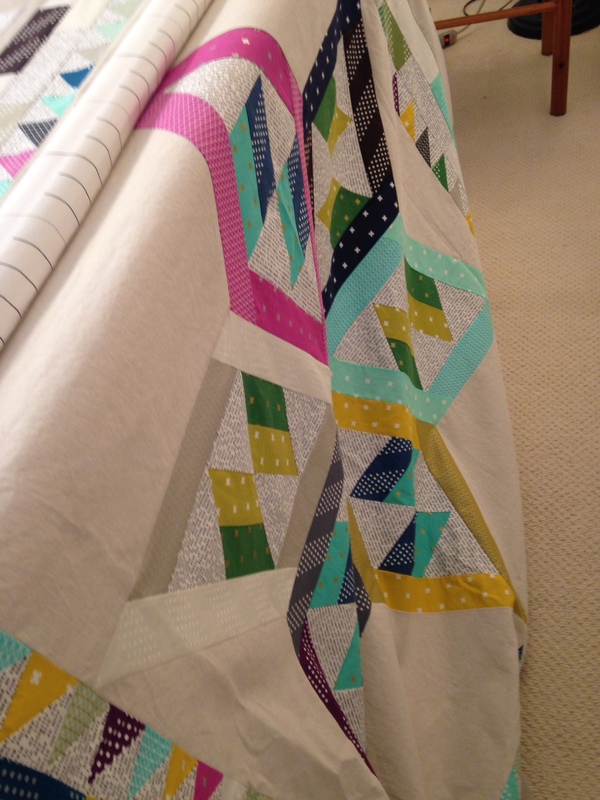 I have a habit of putting quilts to the side and then spending time only designing and piecing. 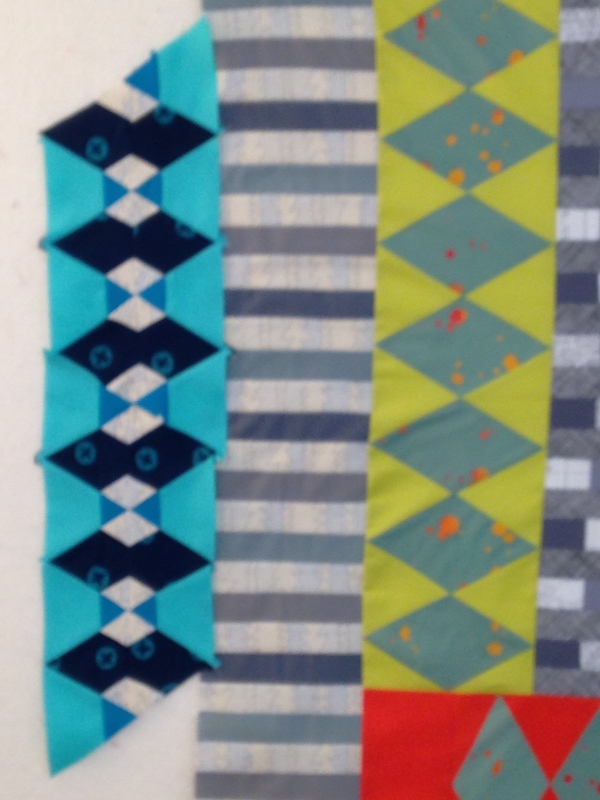 When I get to a place where I’m either stuck or need a change of pace I begin to quilt. So, that’s where I am today. It’s actually refreshing, it’s like a new start on the same quilt. 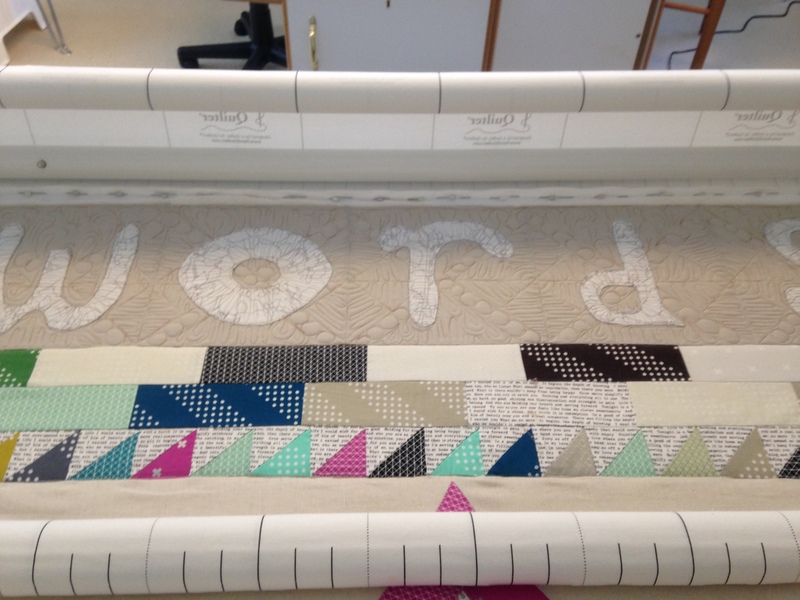 I am using a wide back fabric from Carolyn Freidlanders’ Doe collection, an 80/20 Hobbs batting and it’s now loaded on my long arm and ready to quilt. 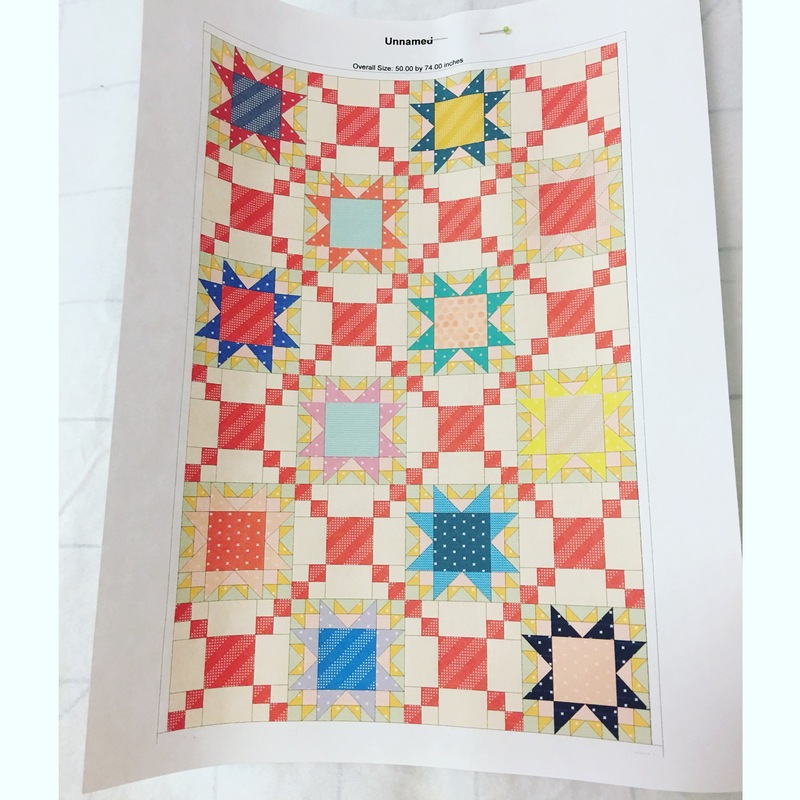 I am not even sure what I will do with the quilting, but since I always custom quilt in a free style I’ll be working it out area by area, hoping it somehow speaks to me. So, off I go now!Hope you all have a lovely day! 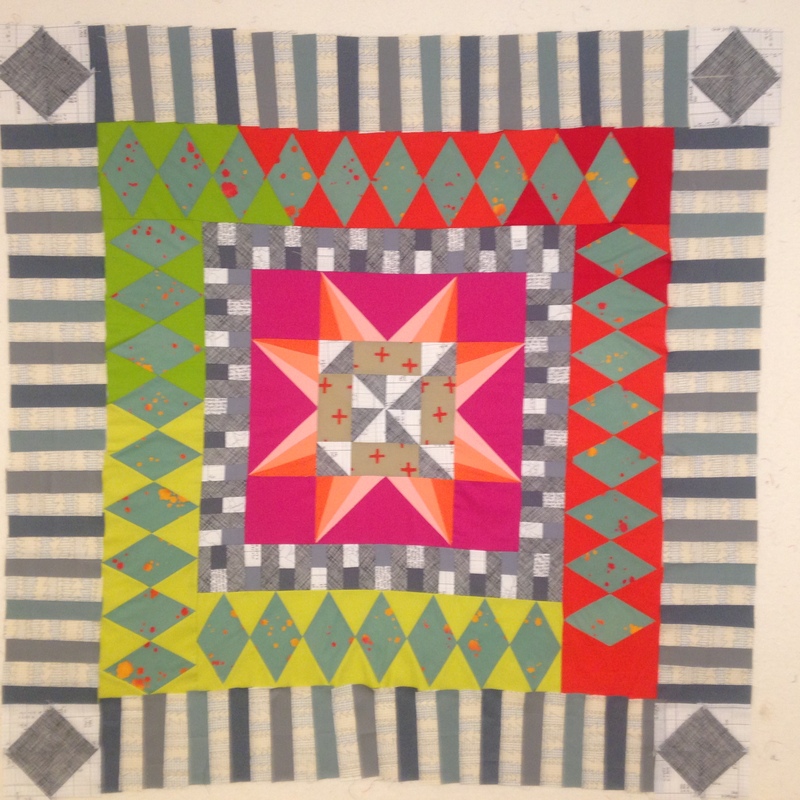 This is the quilt that has been on my design wall for quite some time, I interrupted it’s progress while working on my long arm. In doing so it gave me time to pause, reflect and perhaps change my mind… So, the above was the color way I was going. It’s quite vivid, and I’ll admit I do love it. Though complex and busy it could work out. Next, thought was, why not try a low volume border and save the wild stuff for after… So, this is the low volume color way. I think i may go this way and potentially sprinkle in some bright transitions. 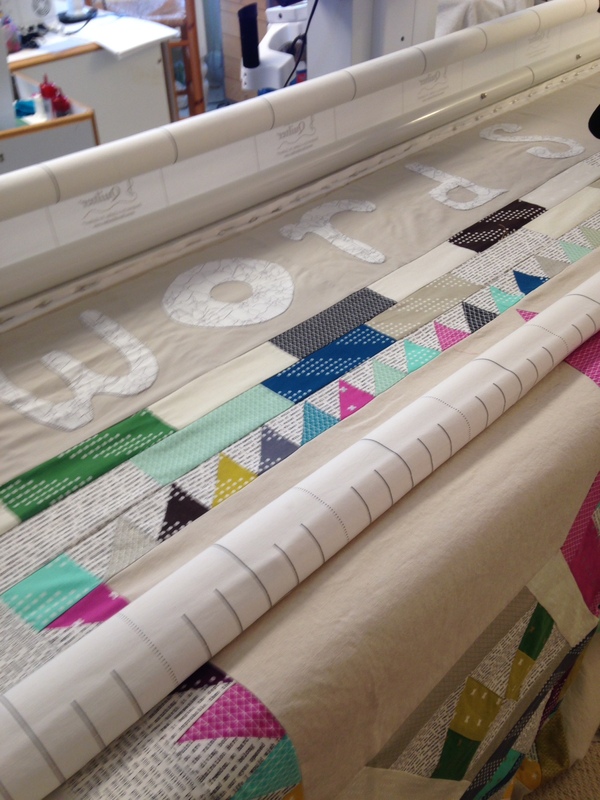 There will be another border after this one which should hold it together, hopefully. What do you all think?Good plan?